The single angler fishing holidays we offer are very popular and often sell out extremely fast. 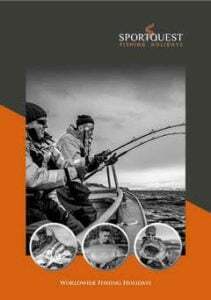 Designed for the angler wishing to travel by themselves, these single angler fishing holidays ensure that an angler can travel to a destination without worrying about single angler supplements that can make a fishing holiday abroad more expensive. These fishing holidays are designed to be fished at our most popular destinations and the dates we choose are specifically put in place to ensure you are fishing the very best tides and moon phases. Our single angler fishing holidays are based on our famous Sportquest holidays hosted trips but without the host, giving you the chance to travel all over the world fishing with new people, making new friends and making some exciting memories. Whilst on a single angler trip you will be looked after by a local guide at the resort you are visiting, ensuring that you get the most up to date, fresh local knowledge, giving you and the people you are fishing with the best chance to catch the fish of your dreams. You will have the opportunity to travel to destinations such as Argentina, Costa Rica, Africa and Madagascar. These destinations will give you the opportunity to catch a large range of species including Giant Trevally, Dogtooth Tuna, Giant Grouper, Sailfish, Marlin, Yellowfish Tuna and many more. Our trips are fully packaged and include your flights, transfers, accommodation and fishing equipment. Our experts in the office will be on hand to offer any advice and answer any questions you have leading up to the holiday of your dreams. You can contact us via our website or call us on 01603 407596.